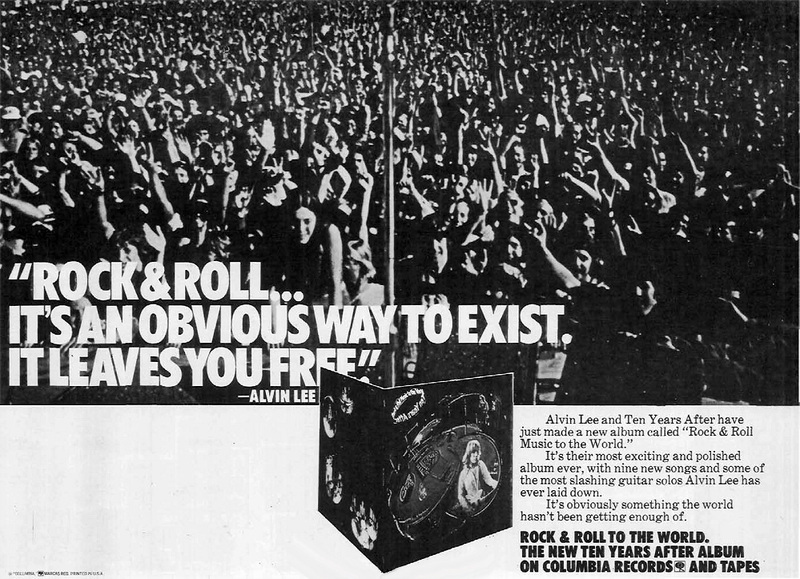 Let’s have a look, year-by-year from 1971-1979, at record advertising from musicians ranging from Led Zeppelin to Frank Zappa, from Kiss to Parliament Funkadelic. Enjoy. 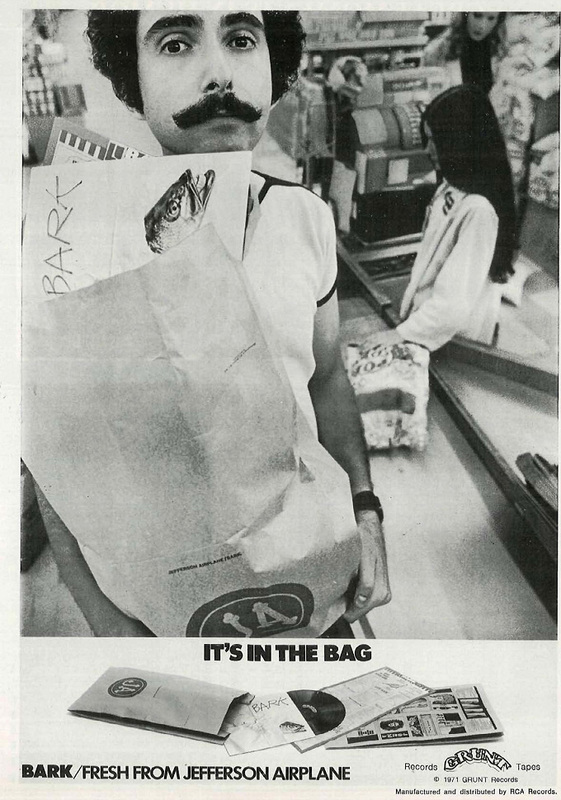 Bark was the sixth studio album from Jefferson Airplane, released in 1971 – the first without founder Marty Balin. They were still over a decade away from the “We Built This City” days, but also a far cry from their 1966 roots. A reunion album of sorts, after a short hiatus. It was good, but their cred as garage rock psychedelia was long in the rear-view window. Lennon was the first former Beatle to release an original Christmas song. 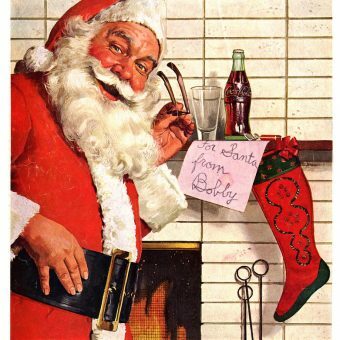 Next was George Harrison’s “Ding Dong, Ding Dong” (1974), then Paul McCartney’s “Wonderful Christmastime” (1979) and Ringo Starr’s album I Wanna Be Santa Claus (1999). 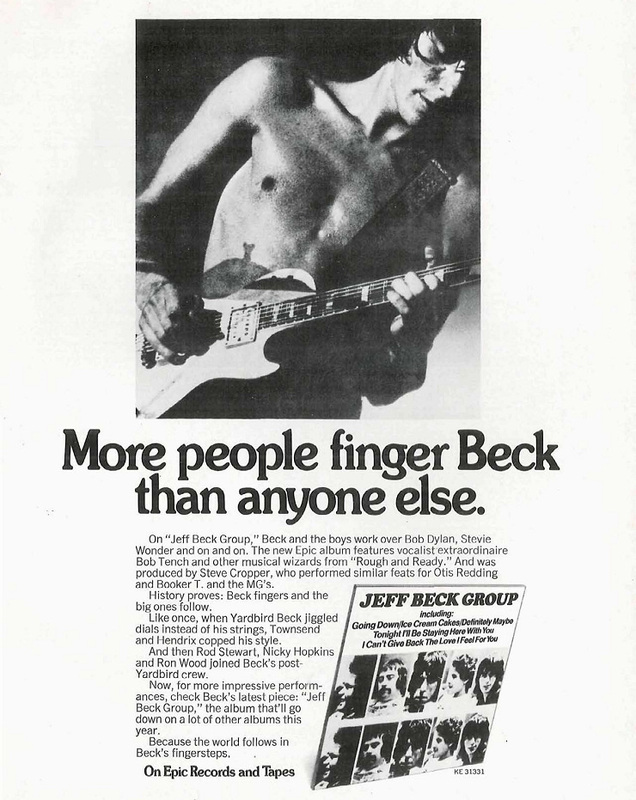 The band would release a live album after this, then abruptly break up in 1974. I’m not a rock critic, and so can’t really put into words why this album is so listenable. It just never gets old; after almost four decades of being in my record rotation, it still has the charm as when it was put on the turntable for the first time. I loved his children’s books as a kid. 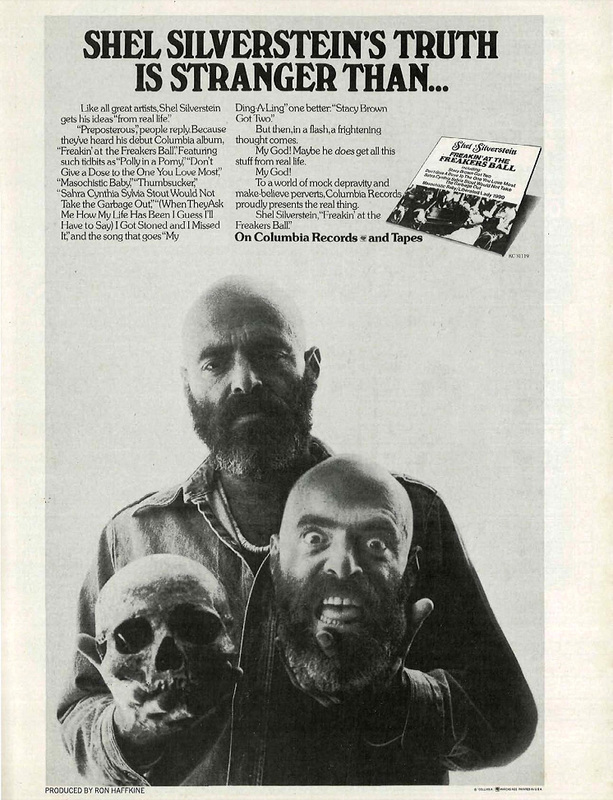 When I got older and found out that Silverstein was a hippy rocker out of Dr. Hook & the Medicine Show, I was disturbed… and still am. 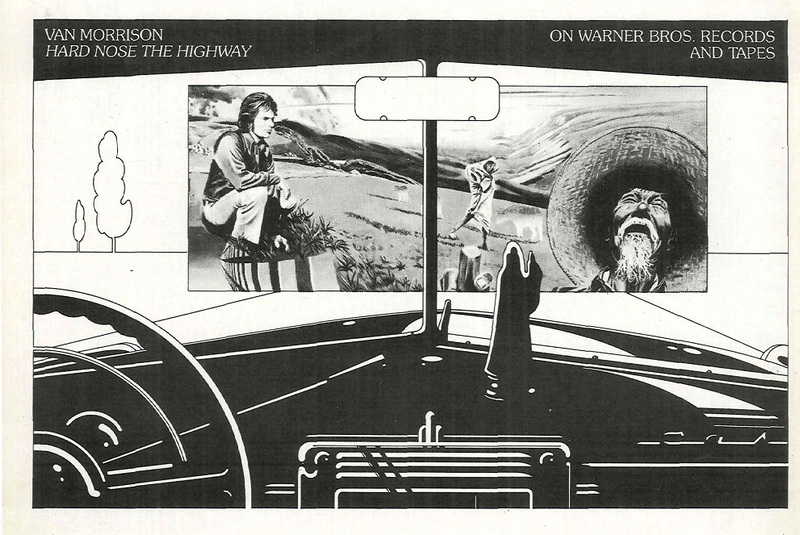 The first Morrison album recorded under his complete control.. and oddly enough, contains the Kermit the Frog’s theme: “Bein’ Green”. 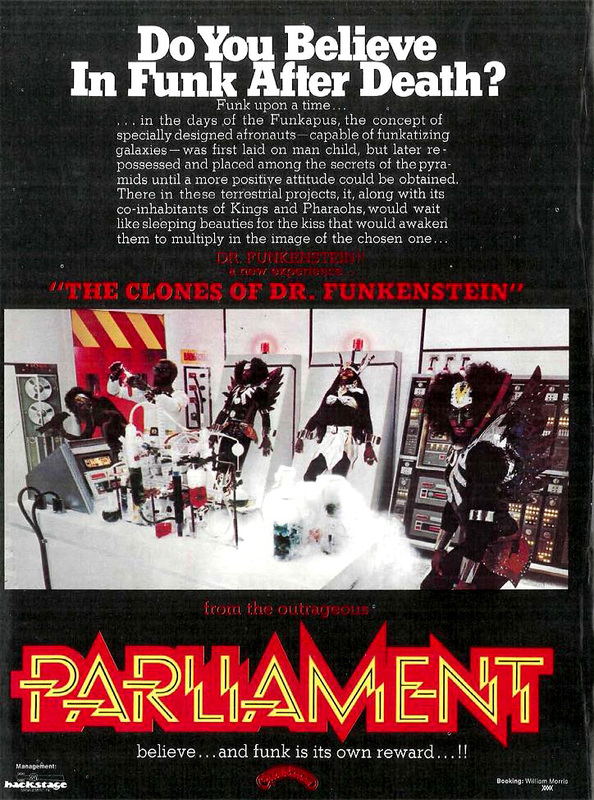 Containing the classic “Kodachrome”, which was not released as a single in Britain, where it could not be played on BBC radio due to its trademarked name. 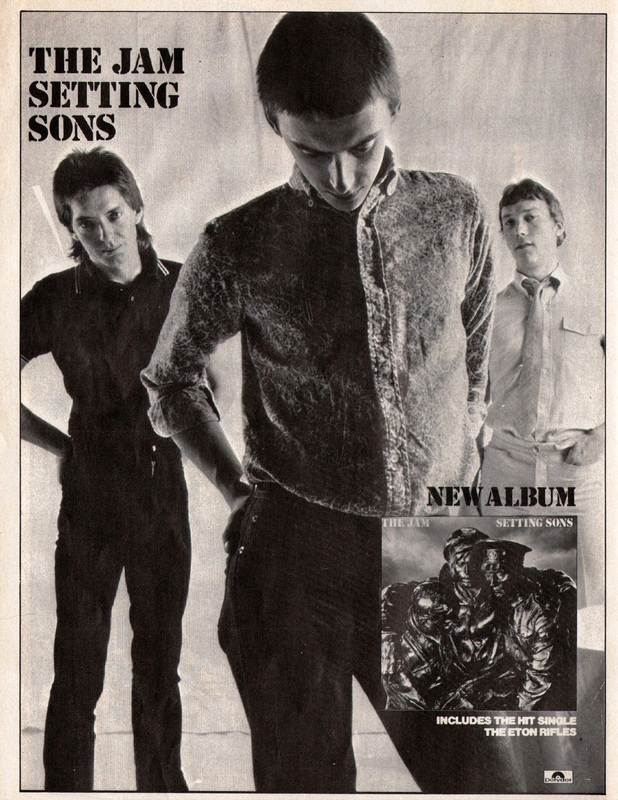 Would you believe this was their sixth album? 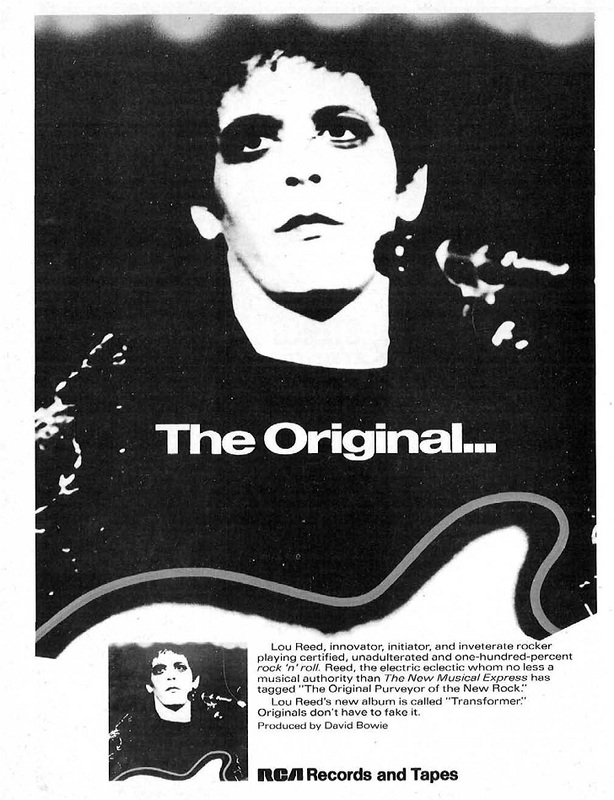 One of the first albums to release a “special edition” for the new 8-track format, featuring “quadraphonic sound” and a variation on the tracks. The album was packaged in cardboard with a stain imprinted on the bottom. 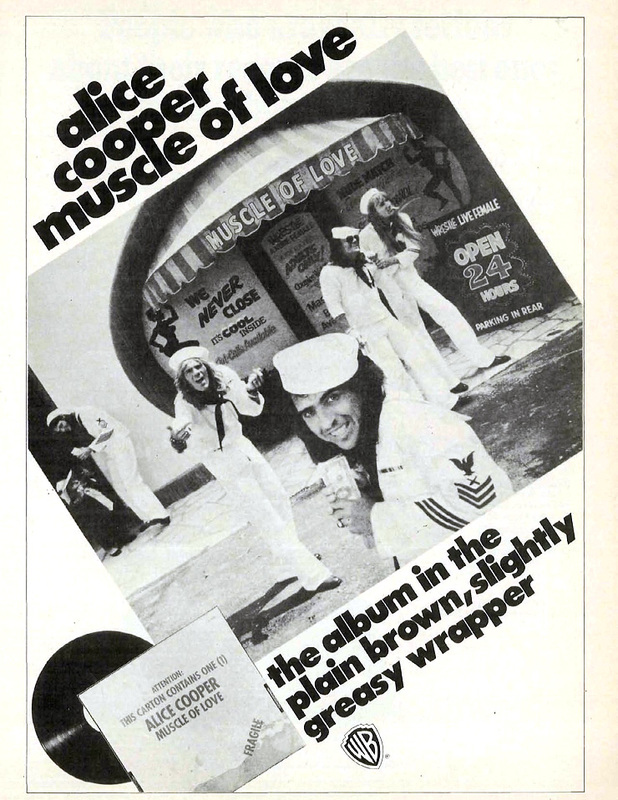 It was the last of the Alice Cooper band; afterwards it was all a solo venture. I like this one because it contains a track that was actually intended to be a James Bond theme song – “The Man with the Golden Gun”; but the movie company went with Lulu instead. 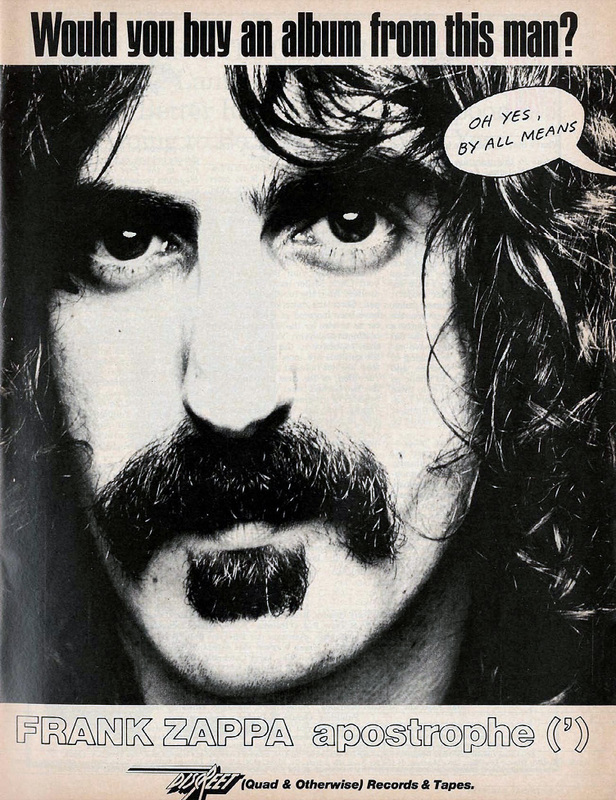 Zappa’s most commercially successful LP in the US; contains the classic “Don’t Eat the Yellow Snow”. It seemed like every musical venture Nilsson did in the seventies was a self-sabotage, a purposeful attempt to not become successful. 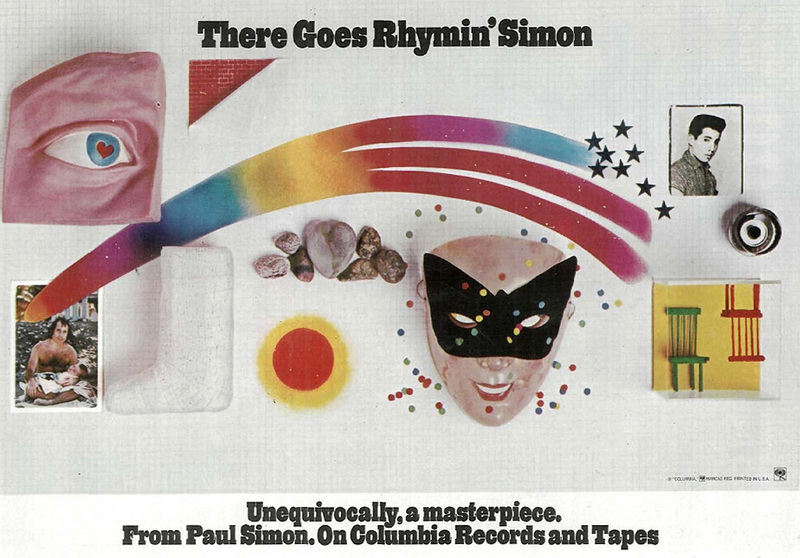 Clearly, he was a mad genius with an incredible voice… so why put out a record of all Randy Newman songs? And then a children’s TV record (The Point!) and now this – an extremely eccentric work, destined to not achieve the pop status of his breakthrough Nilsson Schmilsson. “If you pride yourself on your normality, go ahead… but if you like to poke into the odd corners of your mind, here are two good pokers. 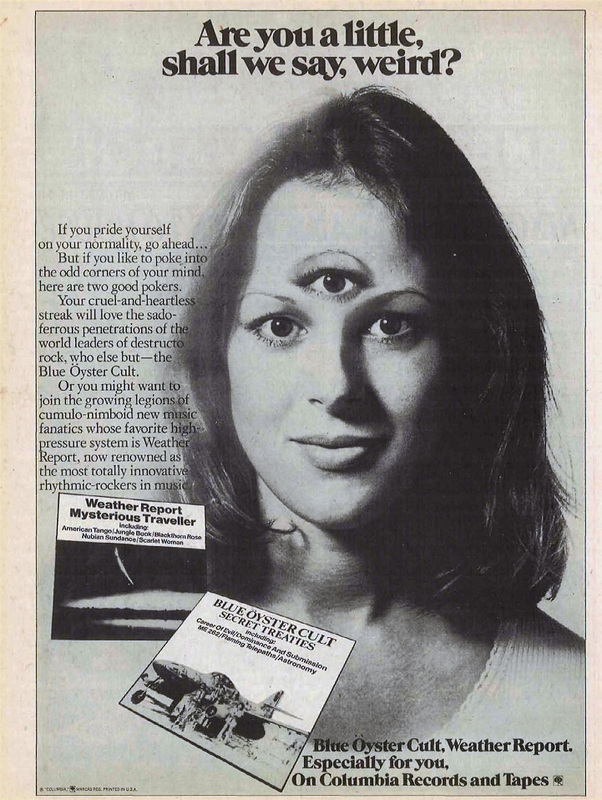 Your cruel and heartless streak will love the sadoferrous penetrations of the world leaders of distructo-rock, who else but – the Blue Öyster Cult. 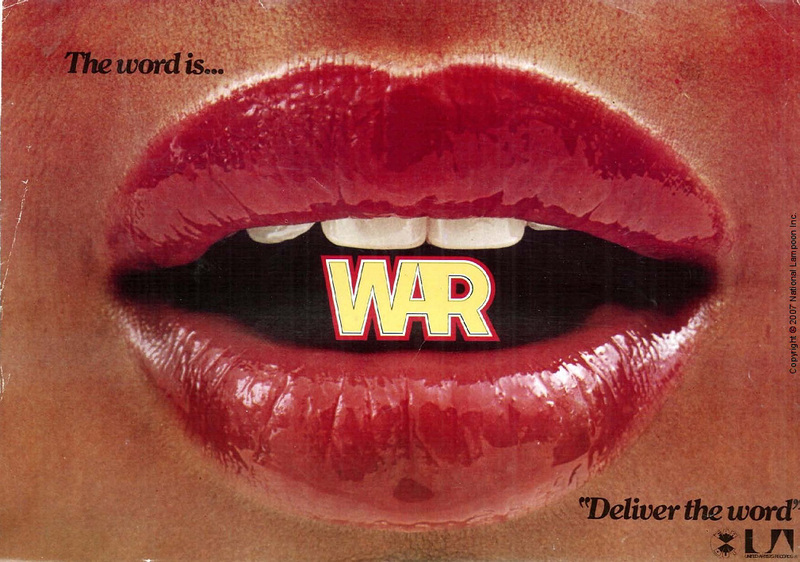 This was their third LP, but the first to gain commercial success…. 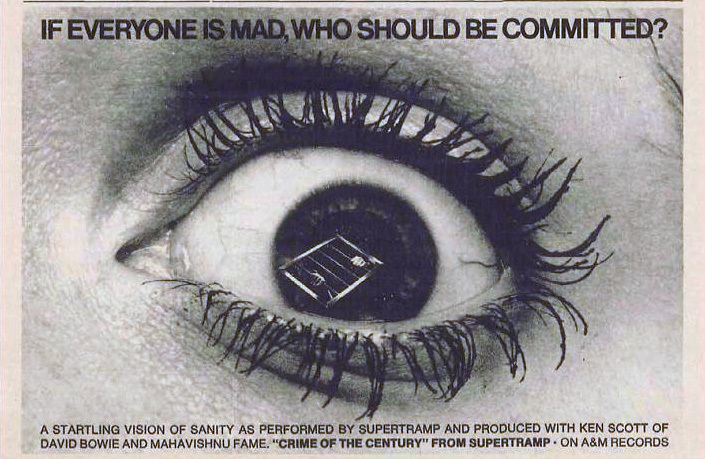 something that is just not allowed to happen in today’s music industry. 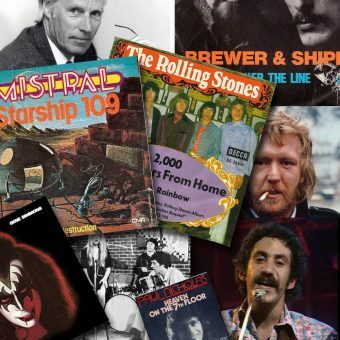 The idea that you would allow a band to essentially fail for two records and still believe in them enough for a third is a foreign concept today. The Hawks (later The Band) were Dylan’s backup group on tour. After suffering widespread criticism for ditching his folky acoustics in favor of an electric rock sound, Dylan then suffered another blow – a serious motorcycle accident which cut the tour short and had him basically immobile for over a year. 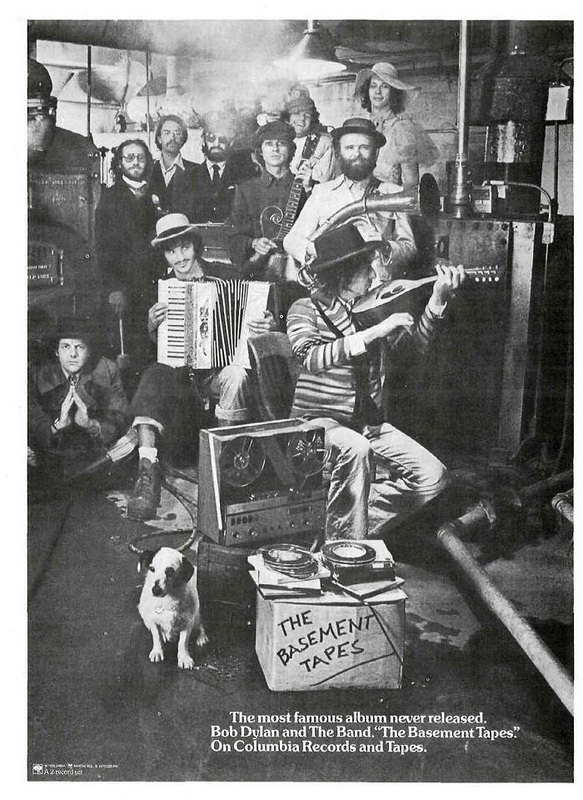 During this medical hiatus, Dylan recorded a number of tracks with The Hawks, with a selection released here, almost ten years later as The Basement Tapes. 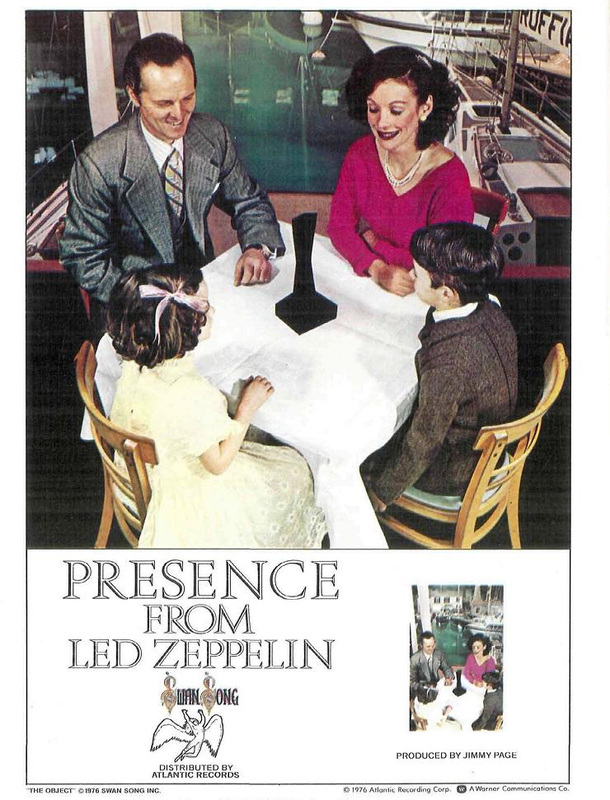 Maybe it doesn’t have the critic’s cred, but as a child of the seventies, this was the ultimate album. 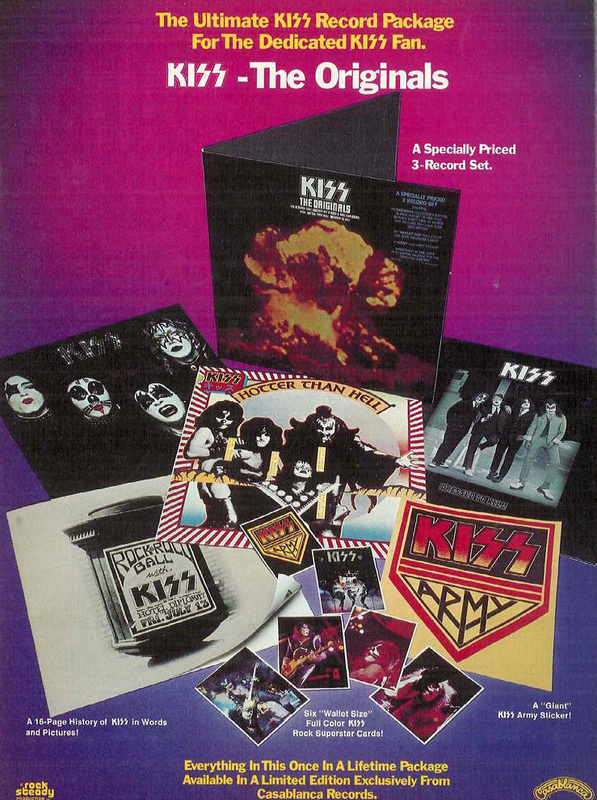 The Destroyer image was on posters, lunch boxes, puzzles,… Kiss mania was everywhere, and I was right there with it, lapping it up and loving it. 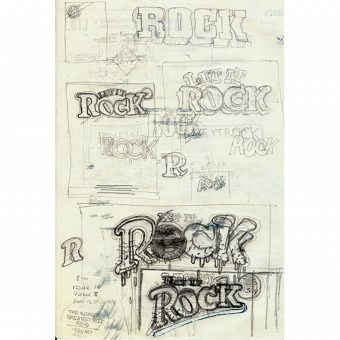 Their new album featured a new guitarist (Wood) and the hit “It’s Only Rock ‘n Roll (But I Like It)”. 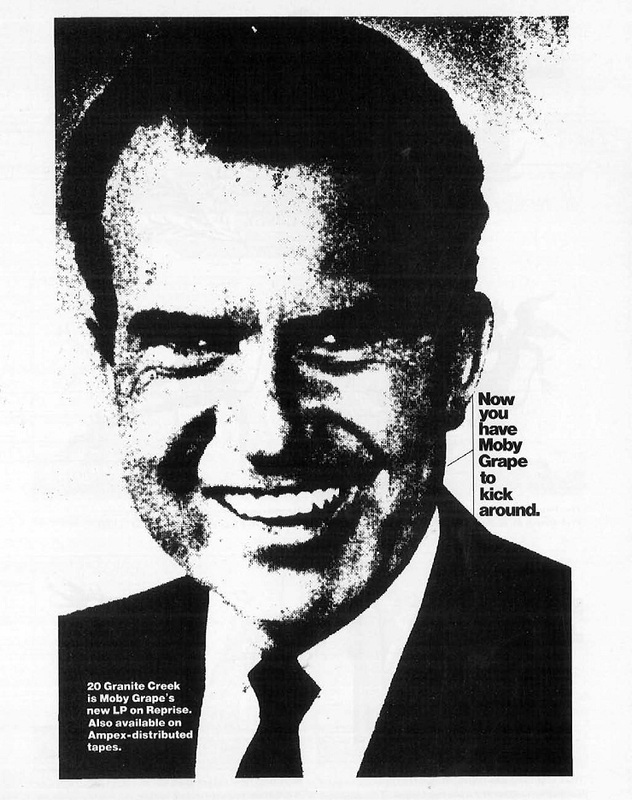 The above advertisement was used on a Sunset Boulevard billboard, and inspired protests from feminist organizations. 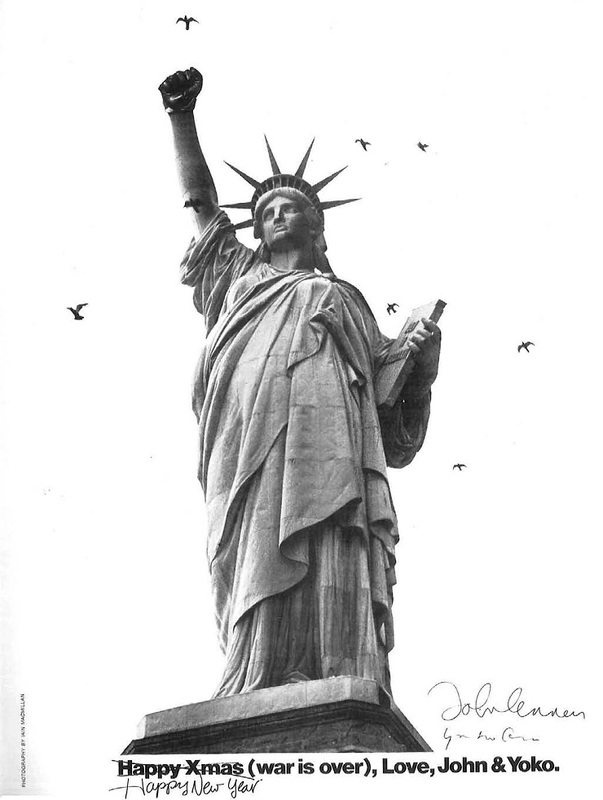 It was ultimately taken down, but it had served its purpose, creating sales-boosting controversy. 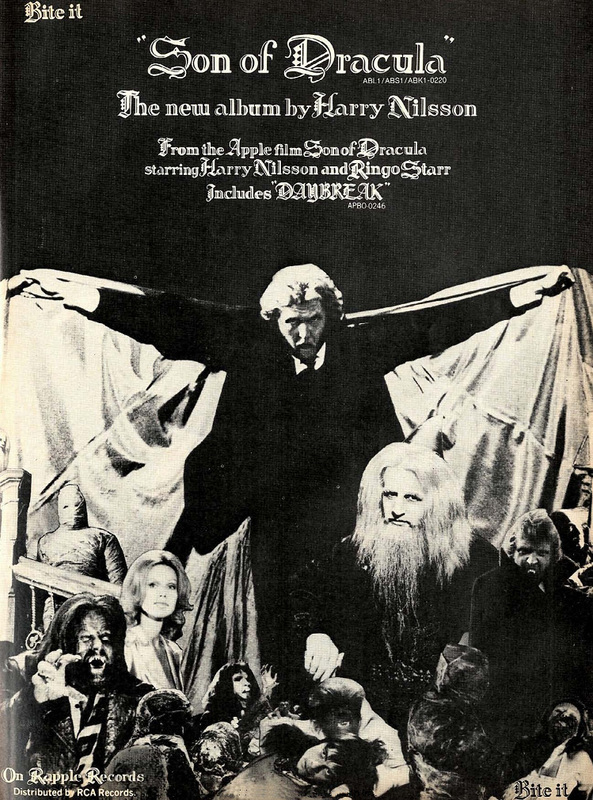 The album was recorded right after Robert Plant’s major car accident; he was basically in a wheelchair or bedridden for most of the recording. 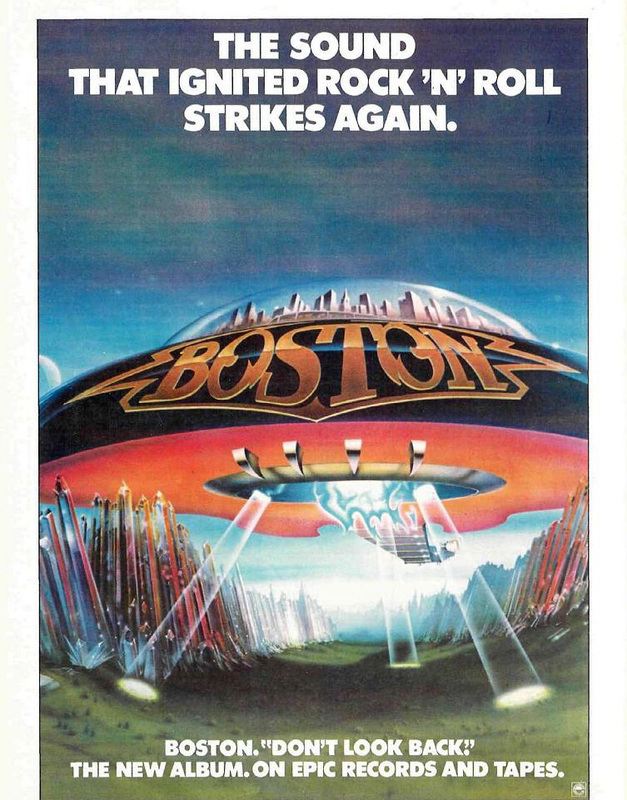 It received lukewarm reception and was overshadowed by the movie and soundtrack The Song Remains the Same released the same year. 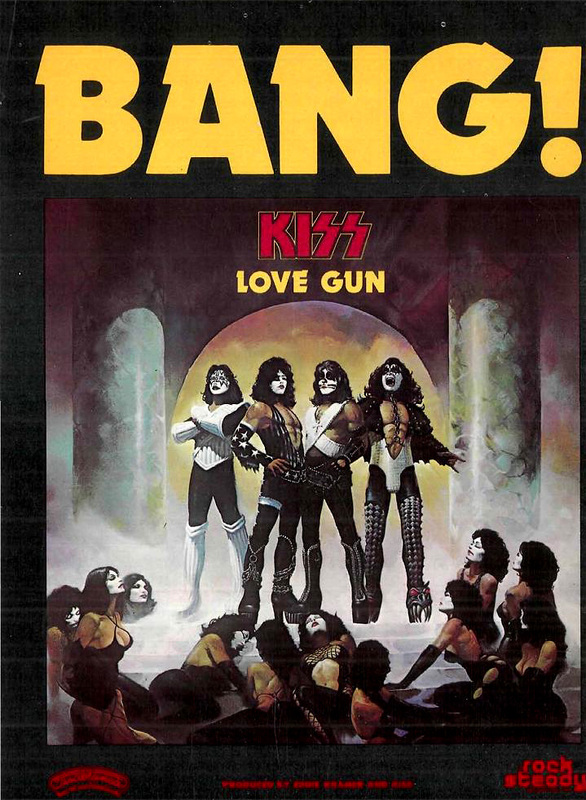 Quick to capitalize on Destroyer’s success, Love Gun sounded very similar and even had a similar cover (both painted by fantasy artist Ken Kelly). Alas, it was the last Kiss album with Peter Criss. If you remember the seventies, you remember “Whatcha Gonna Do?”, which received tons of radio airplay and was popular among seventies kids (almost as much as their 1978 hit, “Love Will Find a Way”). 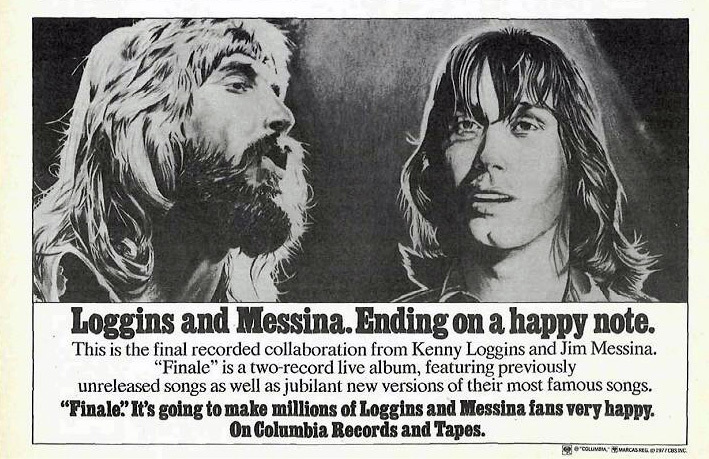 Time for Loggins to move on and record Hollywood soundtracks like Caddyshack, Footloose, and Top Gun. 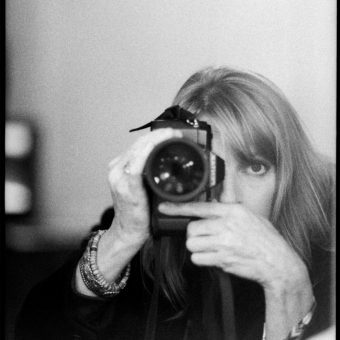 “Sentimental Lady” was a huge hit, that fit well with the late seventies vibe…. but I’ll bet almost nobody knew Welch had originally released this song way back in ’72 when he was with Fleetwood Mac (on the album Bare Trees). I found it interesting to learn that the band originally titled the album “Arrival”, but then found out that ABBA had beaten them to it. 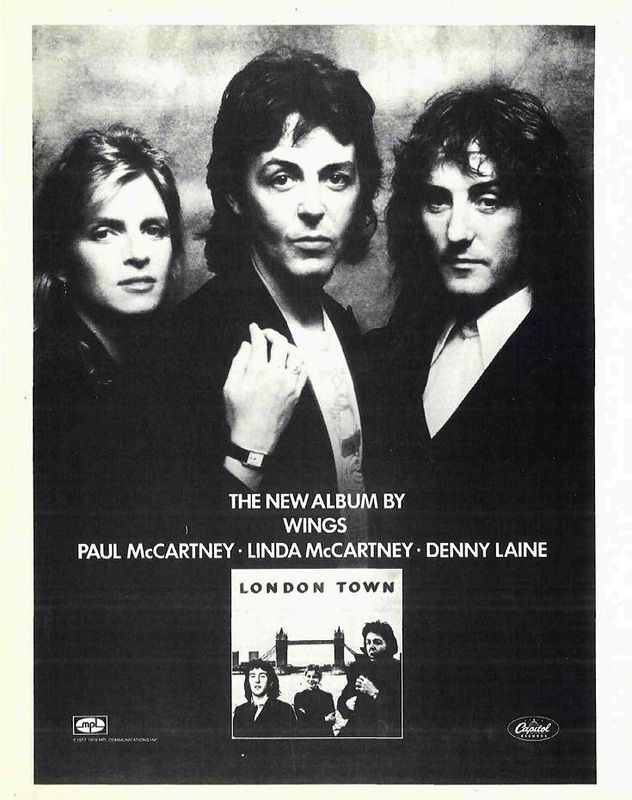 London Town marked the beginning of a slump for McCartney. Prior to the album’s release, the lead track “With a Little Luck” was a winner, and “Mull of Kintyre” had broken all time records in the UK. But afterwards, it was a bit of a downturn for McCartney, who blamed the record’s lukewarm reception on Capitol records’ poor promotion in the US. 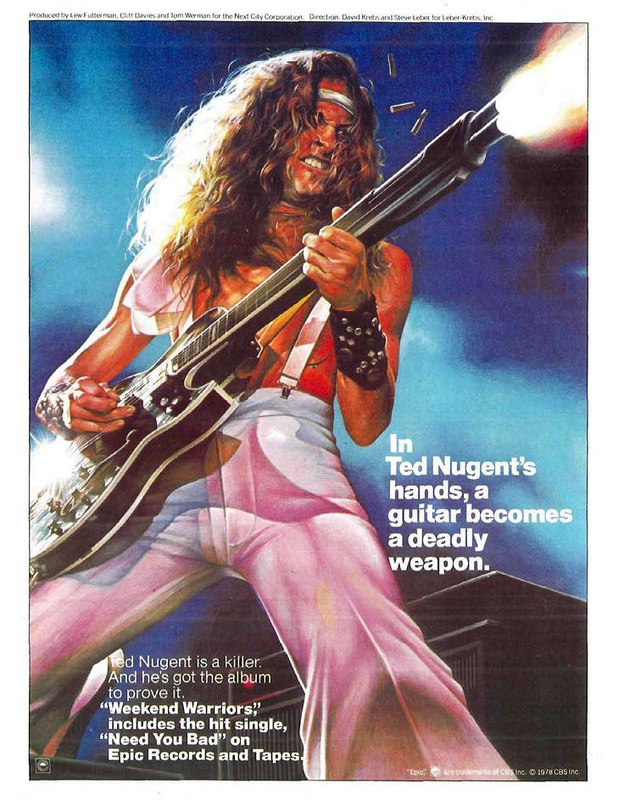 It’s fitting that Nugent’s guitar also serves as a gun, considering his later career has focused on hunting and gun rights. Sorry if Kiss is over-represented in this list, but these guys owned the latter half of the decade. Dynasty followed several cash-grabs after Love Gun – a live album (Alive II), a greatest hits double album (Double Platinum) and the infamous solo records. 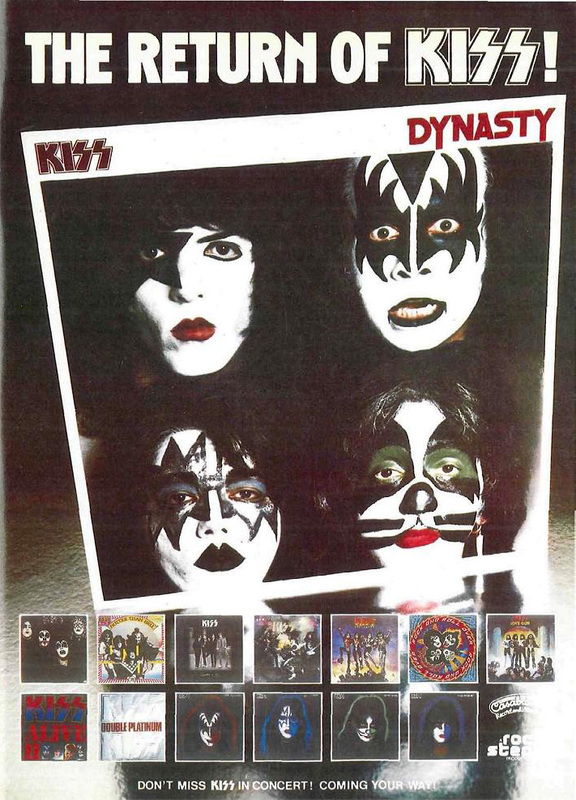 Dynasty features Peter Criss on the cover, but he had been in a car accident and was basically absent for the entire recording. 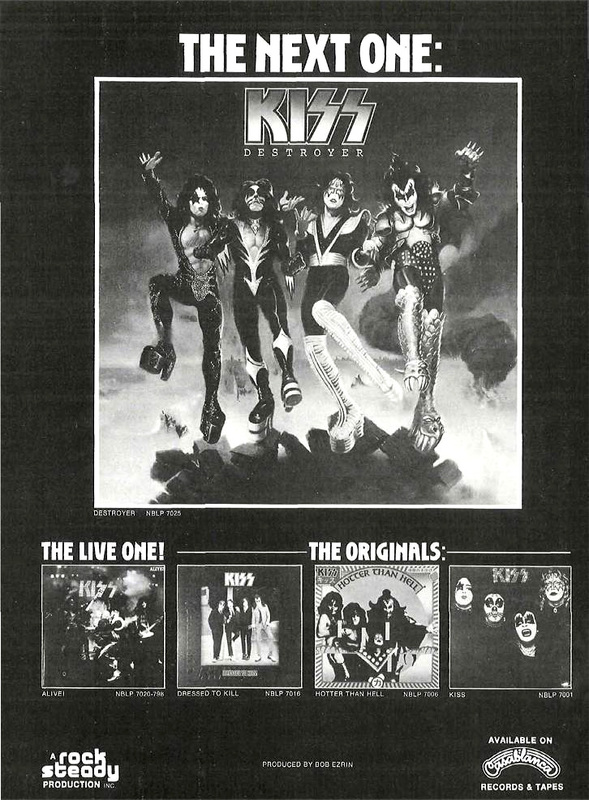 It also features the Kiss disco single “I Was Made For Loving You”. And so the seventies have ended. A whole new brand of sound has arrived. A lot of good stuff is in store – stay tuned.